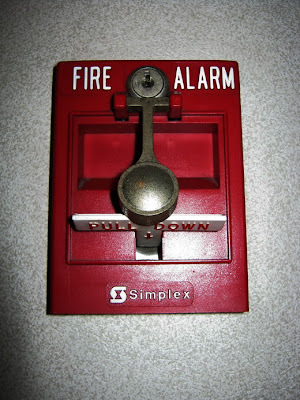 This fire alarm was captured on the wall on a hotel in Jakarta, Indonesia. If you see a fire and the building's smoke detectors haven't detected it yet, you can activate the building's fire alarm system. Find a nearby pull station like this. 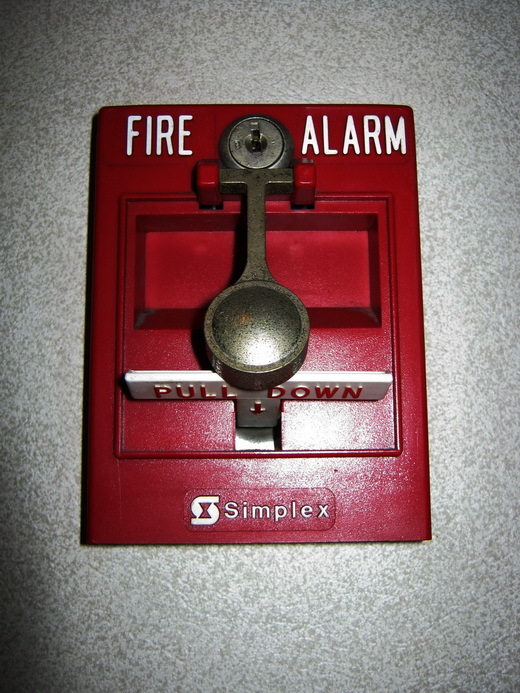 A pull station is the red device found on the wall with instructions such as "pull down". Pull the lever on the pull station. Depending on the pull station, perhaps you have to either lift or push in a panel or smash a piece of glass, then pull the lever.